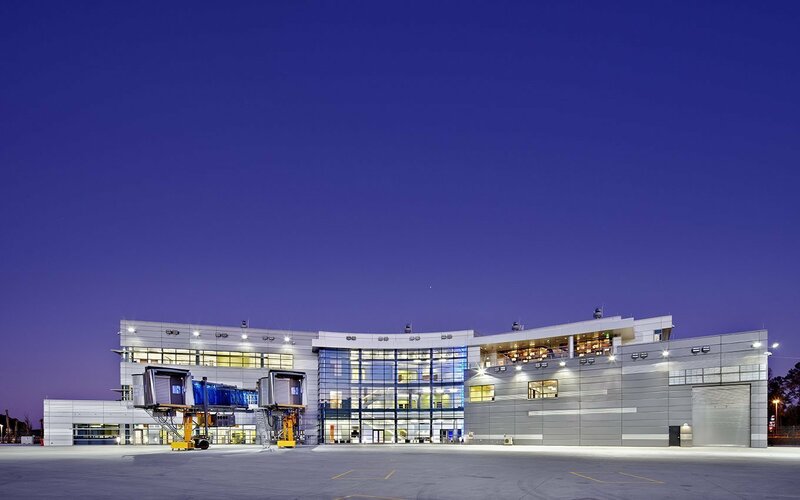 The second of two buildings designed for Boeing South Carolina’s North Charleston campus, the Delivery Center is a showroom building where customers come to receive their new aircraft. 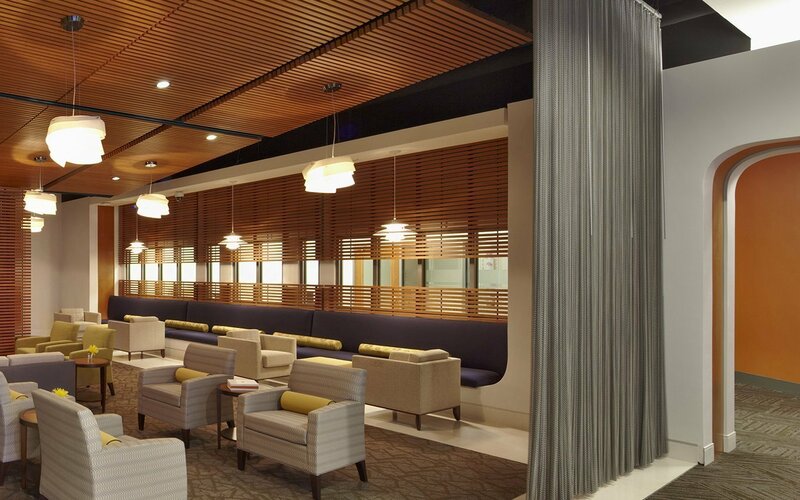 Housing a mix of hospitality and office functions as well as an upscale air terminal, the Delivery Center is one part departure terminal, and one part the stage from which customers view and interact with their new aircraft. 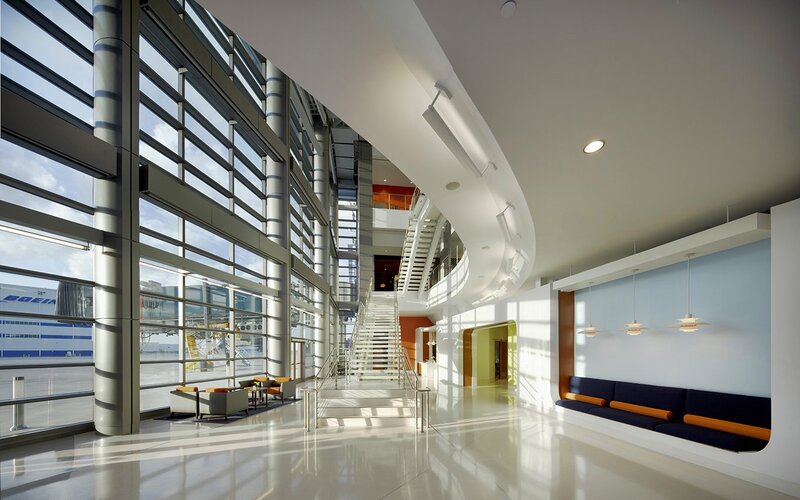 From the first look upon entering the central atrium, to a bird’s eye view from the viewing deck on the top floor, the building shapes the customer’s view. 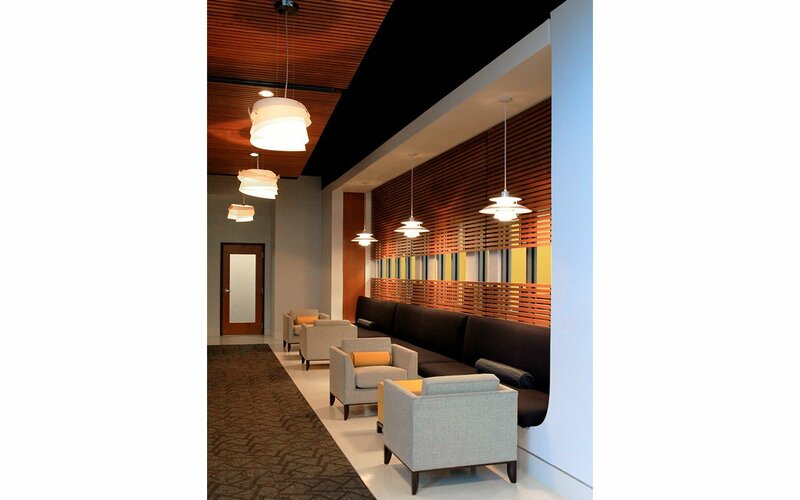 An intimate lobby space allows customers to settle in as they check in and drop off luggage. From there, the building opens up to a three-story atrium and coffee bar overlooking the flight line. 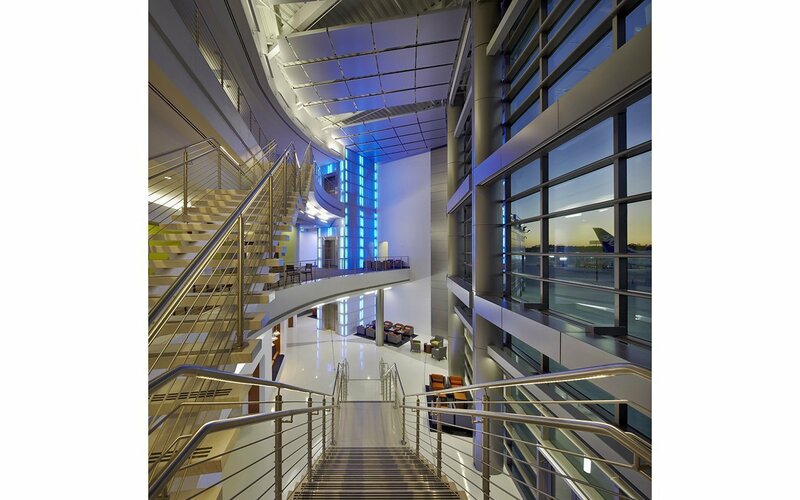 The atrium’s monochromatic color palette and streamlined forms keep the focus on the aircraft outside. The second floor includes customer offices, meeting rooms, and the departure lounge and hospitality areas. 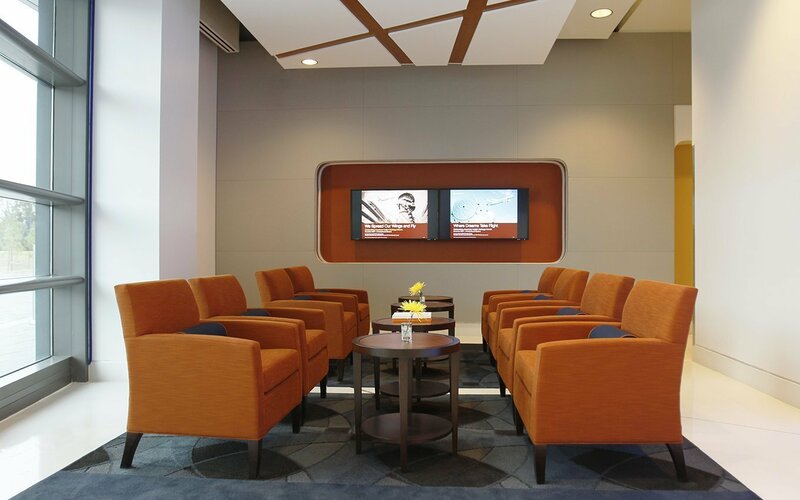 Warm colors and rich materials and textures, customizable light schemes and “smart box” name displays outside offices and meeting areas make customers feel at home. The third floor incorporates a large, dividable multi-purpose room that hosts key delivery ceremonies and other functions. Designed to allow space for delivering two aircrafts simultaneously, the building is sited to allow for future expansion.